Thursday, March 7: 6 p.m. reception and 7 p.m. reading and book signing with Scott Matthews. Free and open to the public. Center for Documentary Studies; directions. 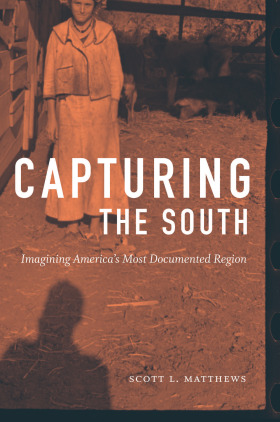 In his expansive history of documentary work in the South during the twentieth century, historian Scott Matthews examines the motivations and methodologies of several pivotal documentarians, including sociologist Howard Odum, photographers Jack Delano and Danny Lyon, and music ethnographer John Cohen. Their work salvaged and celebrated folk cultures threatened by modernization or strived to reveal and reform problems linked to the region’s racial caste system and exploitative agricultural economy. Images of alluring primitivism and troubling pathology often blurred together, neutralizing the aims of documentary work carried out in the name of reform during the Progressive era, New Deal, and civil rights movement. Black and white southerners in turn often resisted documentarians’ attempts to turn their private lives into public symbols. The accumulation of these influential and, occasionally, controversial documentary images created an enduring, complex, and sometimes self-defeating mythology about the South that persists into the twenty-first century.